I get by with a little help from my friends when it comes to wine and food, and my Local Flavor show was no exception. For every episode John and I tapped into our insider buddies for all the wine and food scene best bets. I couldn’t have done better in Buenos Aires: Vintner and gallery owner Ernesto Catena, top sommeliers Andres Rosberg and Marcelo Rebole, and my long-time friend and closed-door restaurateur Dan Perlman. 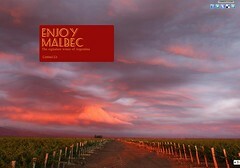 Whether this is just a virtual visit or you planning a trip for Argentina’s wine harvest, now you, too are in good hands! Wine, Food, People & Places in this Episode: Be sure to look up Marcelo Rebole at the Park Hyatt (he’s a cheese sommelier too! ), sommelier Andres Rosberg, Dan Perlman at Casa Saltshaker, and Ernesto Catena at his gallery – when you visit Buenos Aires. You can watch the whole episode by clicking here.